When a leaking RCS thruster problem surfaced early in the Skylab 3 mission, the prospect of a two-man rescue flight to return the three astronauts was seriously considered, to the point of preparing the launch vehicle and training the crew in the profiles required to complete the mission. In the event, the rescue flight was not needed, but had it flown then it could have seen the flight of the first of the Group 6 scientist-astronauts several years before his colleagues. 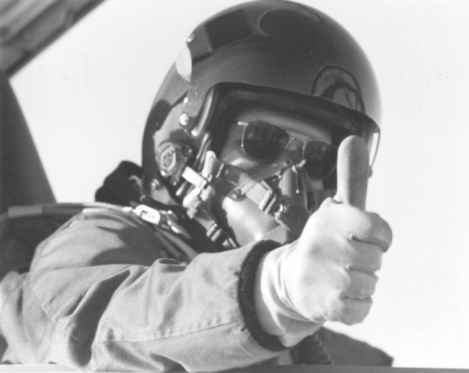 Bill Lenoir was training officially as the back-up science pilot for the second and third missions in a crew that included commander Vance Brand and pilot Don Lind. Brand and Lind were also assigned as the two-man Skylab rescue crew for all three missions. Don Lind was officially selected as a NASA pilot-astronaut in April 1966, but he was also a space physicist, having gained a PhD in high energy nuclear physics in 1964 from the University of California at Berkeley before entering the astronaut programme. Lind had served in the US Navy from 1954 to 1957, and from 1957 to 1964 he was employed at the Lawrence Radiation Laboratory in Berkeley. For the two years prior to entering the astronaut programme, he worked at NASA's Goddard Space Flight Center in Maryland. 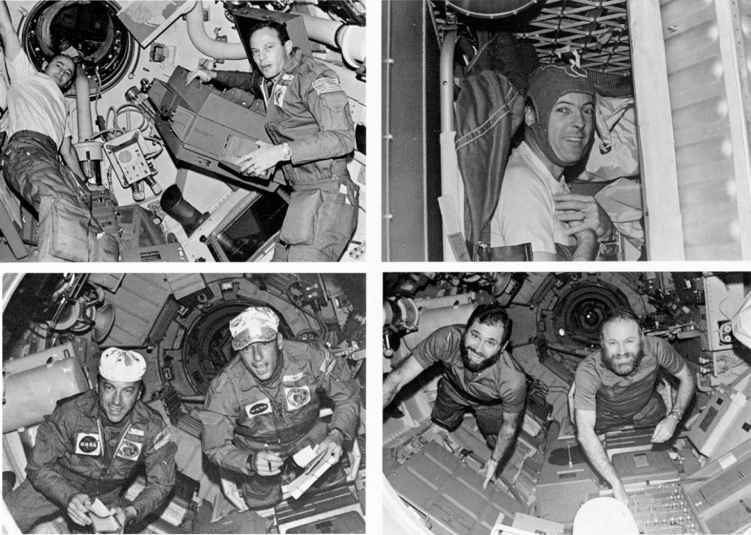 A selection of Skylab onboard shots featuring scientist-astronaut Kerwin (top right) and the pilot-astronauts of SL3 (top left), SL2 (bottom left) and SL4 (bottom right). Qualified to fly an Apollo spacecraft, and eventually to command a mission, Lind was assigned as a back-up pilot for the Skylab missions, but with his interest in science, and being a co-investigator of an experiment on Skylab, he suggested to Lenoir at one point that they should swap roles. If they happened to fly a replacement mission, he would operate as science pilot and Lenoir as pilot, and their cross-training would cover any responsibilities they would not have time to retrain for. At the time, there was a suggestion that a fourth manned mission to Skylab might be launched (Skylab 5), lasting about twenty-one days. This would give the new crew the chance to finish off any experiments and close out the station, preparing it for orbital storage until the Shuttle was operational or a re-visit could be planned. The back-up crew for Skylab 3 and 4 (Brand-Lind-Lenoir) was under consideration for this flight, having already trained extensively for such a contingency. However, with the success of Skylab 2 and 3 (the latter increased from fifty-six to fifty-nine days) and indications that Skylab might not support another mission after the third crew, it was decided to extend the Skylab 4 mission by a month from fifty-six to eighty-four days in order to gain the most from the last planned mission, to observe Comet Kohoutek and to alleviate the need for the short Skylab 5 mission. With this decision, Lenoir lost his chance to fly into space aboard Skylab. During the course of their training, when it became obvious that any rescue mission would require only a commander and pilot to bring home a three-person Skylab resident crew, Lind reasoned that it was more sensible to remain as the back-up pilot and be available for a rescue mission. The assignment of two astronauts who were both pilot trained and scientifically trained to a Skylab crew made a lot of sense and was, in part, a response to the early call to fly two scientist-astronauts on each Skylab crew instead of one. Lind was categorised as a pilot-astronaut, having three years of active pilot assignments in the USN but having also spent nine years as a physicist. Lenoir had qualified from USAF pilot school as part of his astronaut training and had worked as an instructor while studying for his doctorate at MIT. Later, he spent two years at the institute as an associate professor of electrical engineering, developing scientific experiments for satellites before entering the astronaut programme.